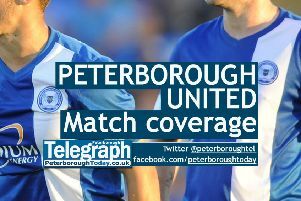 A former Peterborough United player has landed a top job with Premiership champions Manchester City. Ryan Semple starts work at the Etihad Stadium on Monday (July 2) as the club’s Under 15 coach. Semple (32) was a Posh player between 2002 and 2006 when he made 41 first team appearances. He quit football through injury in 2014 and joined the Posh Academy as a coach.